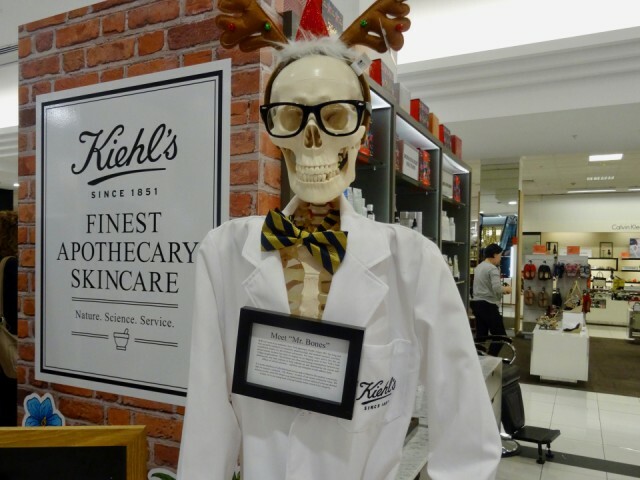 'Mr Bones' has been a prominent feature at Kiehl's since 1851 as part of a New York pharmacy. He was apparently used to discuss the needs of clients whilst choosing pharmaceutical products. But now he is an unforgettable branding for skincare products. Of course, Mr Bones is a replica of a real skeleton, but did look rather silly in the local departmental store in Perth. There were still bargains to be had this weekend!